Fedor Holz, Germany’s top-ranked poker pro, announced on Twitter he’s “partnering” with partypoker. The move helps raise the profile of the poker site in its quest to overtake top performer PokerStars as the best place to play poker online. “From this month on I’ll partner with @partypoker. I’m excited about their plans for the future of poker and I’m happy to be part of it,” his Tweet read. When Mike Sexton left the WPT broadcast booth earlier this year to become the chairman of partypoker, the site he helped launch in 2001, he confidently predicted the company would soon take over the internet poker industry. But it won’t be easy. PokerStars is the most recognized online poker brand and currently has more players than all other industry sites combined. That won’t stop Sexton from trying. Bringing Holz on board is another step in the right direction. He’s young, and at 24, has already won more than $23 million in live tournaments, and millions more online, under his “CrownUpGuy” screen name. Holz has, in fact, been one of those rare online megatalents who’ve been able to transition to and crush live tournaments with the same tremendous skill. Despite having won more in the past few years than most do in an entire career, Holz says that he doesn’t, at least at this point in his life, intend on playing poker full-time any longer. After winning the One Drop High Roller last summer for almost $5 million, he announced his retirement from the game. That lasted a few weeks before entering, and then winning, the 2016 EPT Barcelona Super High Roller. Since then, Fedor’s only played sparingly, popping up in random tournaments around the world. He entered a few high roller WSOP events this summer, but didn’t cash. Yet despite being “retired,” Holz has over $3 million in cashes this year alone. Regardless of his personal track record, competing with PokerStars won’t be easy. 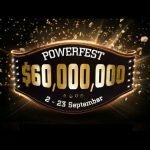 The world’s largest online poker site has an all-star cast of characters lined up for promotions. Pros such as Daniel Negreanu, Barry Greenstein, Vanessa Selbst, Chris Moneymaker, and Bertrand “ElkY” Grospellier don the PokerStars patch during live events. 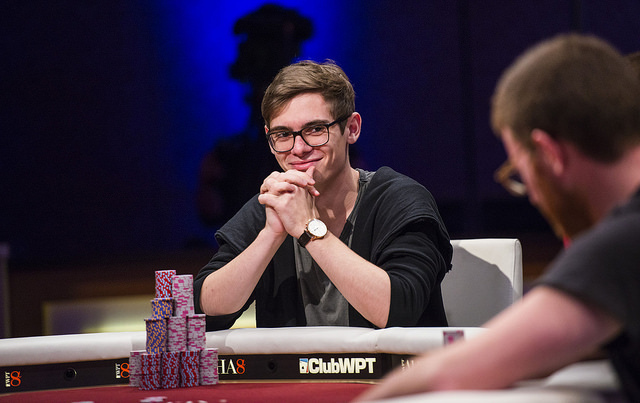 But partypoker is beginning to build its own impressive roster, including Fedor Holz. And $6.5 million tournament winner and company chairman Sexton is joined by European high stakes grinder Sam Trickett, tennis legend Boris Becker, and Norwegian pro Johnny Lodden for the site’s own star power.